Karen Valencia Clark-Sheard is an American gospel singer. She is the youngest of six children born to Pastor Elbert Clark and Dr. Mattie Moss Clark, a pioneering gospel choral director. Clark-Sheard is best known for being a member of iconic gospel group The Clark Sisters. Clark-Sheard has been performing as a solo artist since 1997, when she released her Grammy-nominated her debut album Finally Karen. Clark-Sheard is renowned for her unique vocal stylings (often referred to as the "Clark sound"), which features high and fast melismas, acrobatic riffs and runs, and deep, throaty growls. On June 16, 1984, Clark-Sheard wed John Drew Sheard, a minister. Her husband became the senior pastor of Greater Emmanuel Institutional Church of God in Christ in Detroit. Together they have 2 children: Kierra, who is also a gospel recording artist, and John Drew Sheard II, a young musician and up-and-coming producer. In 2001, Clark-Sheard was faced with a life-threatening crisis when a blood vessel burst during a scheduled hernia surgery. Her doctors only gave her a 2% chance of survival due to her complications. After the blood clot was surgically removed, Clark-Sheard fell into a coma. The coma lasted a week, but Clark-Sheard made a miraculous recovery and recorded her sophomore album, 2nd Chance (named so because of the "second chance" given to her by God), in 2002. A reference to Clark-Sheard's near-death experience is made in her daughter Kierra's song "You Don't Know". Karen is classified as a Wagnerian Soprano. In almost every song by The Clark Sisters she is heard singing the highest portion, along with former member Denise Clark Bradford. 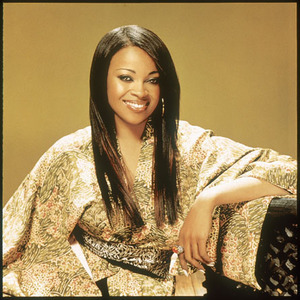 One of Karen Clark Sheard's highest full voice note on record is in her 2006 song "You Showed Me", which is a C6. She has once been named "Best Vocalist In The World", and is her vocals are irreproducable.